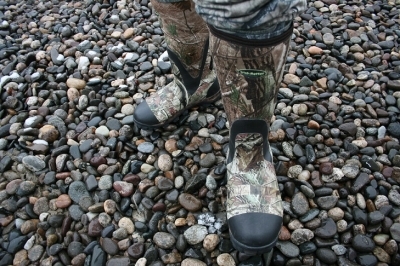 Montana Test.com - Results for: Irish Setter SwampGhost Rubber Boot with ExoFlex fit System! Reviewed! The Irish Setter Swampghost 1000 Gram Thinsulate™ Ultra is an authentic piece of technology. The ExoFlex™ accomplishes and works perfectly. An unanswered complaint is the throat size of rubber boots, they are large and if your foot gets stuck in mud or deep show, out comes your foot. 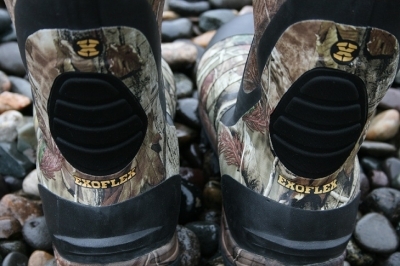 Irish Setter Swampghost has the ExoFlex™ system and with it comes a flawless fit. The heel of the foot hits the ExoFlex™ and stretches the throat of the boot enough to slip the boot on. This allows for a narrow throat and an incredible foot hugging rubber boot. It stretches and then contracts for a superb fit. The Swampghost is flat out one of the best I have ever tested. Once in a while we test a product that is long overdue, but when it does it works faultlessly. The Irish Setter Swampghost 1000 Gram Thinsulate™ Ultra with the ExoFlex™ comes as close as we have located. 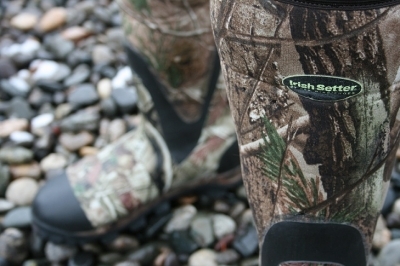 The ExoFlex™ Fit System makes Irish Setter boots the best fitting, easiest on/off rubber boots available. ExoFlex™ allows the boot to expand to accommodate the back of your foot - once you’re in; it contracts for a lock-tight, high-performance fit. They’re waterproof, scent proof, and backed with a bombproof panel. It’s the kind of durability and performance you expect from Setter. Irish Setter just revolutionized rubber boots. How? We made ‘em fit. Our patent-pending ExoFlex technology expands to accommodate the back of your foot. Then once you’re in, it contracts for a lock-tight, high-performance fit.